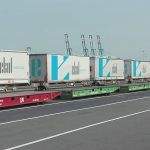 Ekol, one of the leading logistics firm of Europe and Turkey, counts the days to get its AEO Certificate, which will expedite its customs procedures. 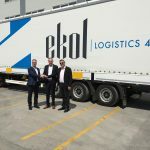 Ekol Logistics, staying focused on its target to become a global logistics firm with its investments in Europe, continues its non-stop operations in order to offer more effective, reliable, and faster and quality service to its customers. 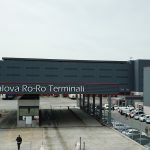 Following the regulations published by the Ministry of Customs and Trade last January, Ekol completed all the required processes in this respect without delay within the same month and applied for the AEO (Authorised Economic Operator) Certificate, which will speed up trading. 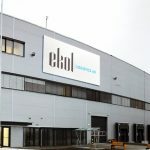 Realizing a first in the industry, Ekol applied for the AEO Certificate for all its 4 facilities – where all the export operations take place -located in Bursa, Izmir, and the Asian and European side of Istanbul. Ekol, being motivated by its objective to always offer the best quality services to its customers and its insight of continuous improvements in its processes, received ISO 27001:2005 Information Security Management System Certificate, the first step towards the AEO Certificate, on account of a team of 40 people assigned only for such procedures and its strong IT infrastructure. With the AEO Certificate, awarded by the Ministry of Customs and Trade, Ekol Logistics will administer the required customs clearance checks for the freight therefore the vehicles will not stop at Internal Customs Administrations and cause any waste of time for the exporters. 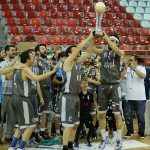 Once Ekol is awarded with this certificate, it will not be slowed down by the bureaucracy of customs procedures for its freight and will administer such at its own facilities 24/7 without going to the Internal Customs Administrations or queuing. 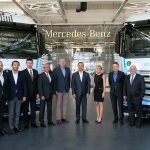 Time saved along the way will speed up the mobility of its Ro-Ro trips. Currently average round trip of a vehicle to Europe takes about 12 days and will drop to 9 days after the common transit practices. 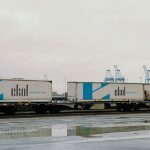 Ekol will not only ship its customers’ freight with this certificate but also will bring them advantages of practicality and convenience thus enable them to position themselves ahead of their competitors. The AEO (Authorised Economic Operator) Certificate, which is a concept introduced by the World Customs Organization under the auspices of the US commerce that customizes the commercial security and convenience, is granted to the organizations once they meet the international standards such as level of compliance with the laws, internal checks, management of risk factor, ability to pay financial debts, security management and business partnership management. Once this Certificate is obtained, it allows a significant time and cost advantage to the organization. 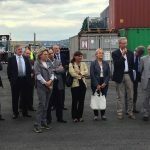 The Ministry of Customs and Trade puts great effort into this application which will expedite commerce and provide economic growth. Shipments to Europe via the AEO Certificate will be performed through electronic statements instead of the TIR carnet. Owing to paperless transactions, an annual saving of 57 million € will be achieved. 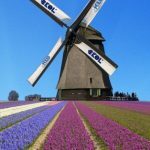 46 countries in total, including the EU member states, United States of America, Argentine, China, Honk Kong, Israel, Switzerland, Canada, Columbia, Korea, Norway, Singapore, Jordan, adopts the AEO Certificate practices. 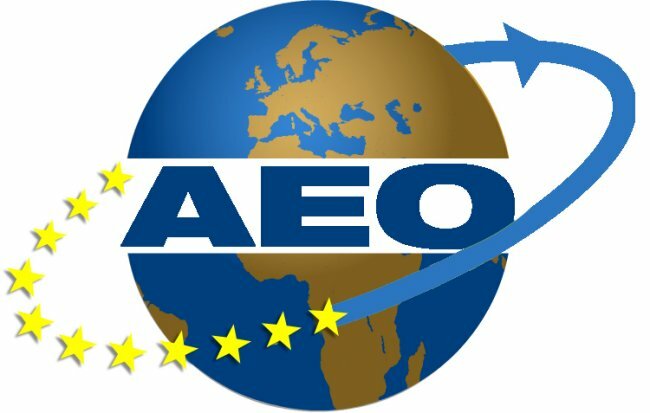 Over 70% of customs procedures in Germany, Holland and France are conducted through onsite AEO Certificate. 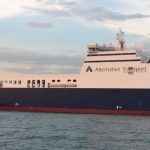 With the AEO Certificate, 861 liras, 90% of the average expenditures of 954 liras made by the companies for the customs procedures, will be saved and be derived as profit per shipment. Customs clearance and transport of a container load of goods by an AEO Certificate holder will be 17.5% cheaper in average compared to normal customs clearance procedures. Thus this saving will yield an annual return of 900 million liras roughly to Turkish economy.